The bill is a “sense of Congress” resolution, so it is not binding; hence the word “should” rather than “will” is used. Still, it is a very clear expression that the Senate expects and desires that President Obama provide a full range of support to Israel in the event of an Israeli attack on Iran. It certainly sends a signal to Prime Minister Benjamin Netanyahu that he will have Congress behind him if Obama tries to restrain Israel from taking such a step. While the bill’s wording clarifies that it should not be understood as a declaration of war in the event of an Israeli attack, a commitment to military support of Israel in the event of a purely Israeli decision to attack Iran could well amount to the same thing. The timing of the bill should not be ignored. AIPAC consistently tries to get its most important legislation to the congressional floor ahead of its conference and especially its “lobbying day,” when thousands of AIPAC activists descend upon Capitol Hill, armed with its marching orders. The timing demonstrates AIPAC’s priorities, and it’s not coincidental that this bill comes on the heels of a rare moment of small hope in negotiations between the P5+1 (the US, France, England, Russia, China and Germany) and Iran. AIPAC would be unlikely to view the P5+1′s reported offer favorably, as it allows Iran to keep a certain amount of its 20% enriched uranium to fuel a research reactor and backs off a demand to close the nuclear plant at Fordow, demanding only that work there be suspended. AIPAC would surely view these moderations as risky for Israel. So, a provocative resolution was introduced in Congress. AIPAC is likely even more aware than many of its congressional allies that probably at least some in Tehran will not pick up on the nuance that this resolution is non-binding. If the resolution is interpreted by Iran as demonstrating that the US is not serious about finding a negotiated resolution to the nuclear standoff, it will surely serve as further incentive for Iran to redouble its nuclear efforts. But AIPAC has never favored negotiations, always leaning toward militant stances, military threats and ever more devastating sanctions. More of the same can be expected at their conference, with the many members of Congress, from both parties, who will be speaking, attending and parroting the AIPAC line. In the House of Representatives, another AIPAC-backed bill would impose still tighter sanctions on Iran. Both the Senate and House resolutions also include language that seeks to change US policy from being dedicated to preventing Iran from acquiring a nuclear weapon to preventing Iran from acquiring thecapability to build such a weapon. The two thresholds are very different, and the latter is a point that Iran has probably already passed. Such a policy would provide the justification for war at any time. 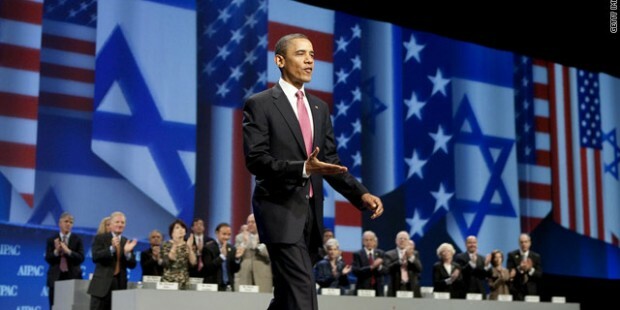 AIPAC’s legislative agenda is not limited to Iran. The agenda regarding Israel strongly reflects the current situation, both in what it says and what it does not. The entire Palestinian issue is being buried, and this fits well with the direction Israel itself is taking. As I explained elsewhere, whatever governing coalition Benjamin Netanyahu assembles, both it and the opposition will be dominated by parties that either outright oppose a Palestinian state or are in favor of returning to endless and fruitless negotiations. Thus AIPAC completely mutes the issue. But they are pushing legislation regarding the US-Israel relationship, an emphasis that at least partially reflects the recent battle over Chuck Hagel’s confirmation as Secretary of Defense. AIPAC knew early on that Hagel’s confirmation was inevitable, so it dropped out of the fight almost as soon as it began. One of their great strengths is their keen ability to pick their battles. Instead they allowed the partisan Republican and extremist groups, like the Emergency Committee for Israel, to take on the Hagel nomination. Both Elliott Abrams and ECI’s founder Bill Kristol said that Hagel was “weakened” by the whole affair. AIPAC was less than keen on Hagel because he is comparatively reluctant to go to war with Iran and because he has been outspoken about the pressure AIPAC exerts on the Hill. He also considers it his duty to serve the United States before Israel. The bills discussed above are intended to narrow the political options on Iran for the President and his new cabinet. Others are intended to legislatively solidify the special relationship between Israel and the United States which AIPAC fears might have been weakened in recent years by the attention they brought to their Israel-first advocacy. Another bill introduced to the House would designate Israel as a “major strategic ally.” That designation is unprecedented and could mean just about anything, but it would allow Israel to enjoy some unique status in its relationship with the US. Of course, it already does, but there has never been a formal, legislative statement to that effect. The bipartisan bill is sponsored by two good friends of AIPAC, Ed Royce (R-CA) and Eliot Engel (D-NY). It broadens sanctions on Iran and designates Iran’s Revolutionary Guard as a terrorist organization. Much of the impetus for this bill comes from the sequester and is intended to help ensure that funding for Israel is not threatened by the automatic budget cuts (and never mind that aid to US citizens might be considered by most in the US as a higher priority than aid to Israel). It also includes wording that works to separate aid to Israel from all other foreign aid, so that going forward, threats to general foreign aid would not include Israel, which is the largest recipient of such aid. But there is also what I’d call the Hagel Factor. Knowing that they were not going to be able to stop the President from appointing the Defense Secretary he wanted, AIPAC has worked to ensure that ideas concerning them about Hagel on Iran and on the special US-Israel relationship will be blunted. Accordingly, the next three days will evolve around the imminent threat Iran poses (including at least the insinuation of a nuclear attack intended to wipe out the Jews), the importance of safeguarding the shared values between the US and Israel, and all the wonderful things Israel provides for the US. Though don’t expect too many specifics on that last point.